This concert, with Buddy Catlett, Ernestine Anderson and others, is part of a jazz-documentary project spearheaded by Jessica Davis. As part of the process she’s donned a new hat, taking on the role of concert producer for Sunday’s “Seattle Jazz Legends in Concert” at the Historic University Theater. Presented by Lynx Records, the event features several of the musicians interviewed for “Raindrops,” including bassist Buddy Catlett, vocalist Ernestine Anderson, saxophonist Ronnie Pierce and drummer George Griffin, whose credits range from Jimi Hendrix and Etta James to Ray Charles and Lionel Hampton. Read the complete Seattle Times article. 8 p.m. Sunday, Historic University Theater, 5510 University Way N.E., Seattle; $20 (206-420-8091 or www.brownpapertickets.com). 11pm – Chris Stover (trombone), Josh Wolff (piano), Chris Symer (bass) – Music by Caetano Veloso, Tom Jobim, and Bill Evans, plus Chris Stover originals! Here’s what’s happening for the second weekend of Is That Jazz? Seattle clarinetist Jesse Canterbury leads an all-acoustic ensemble in a strikingly original mix of chamber music, improvisation, and tune-oriented melodic material informed and inspired by the music of clarinetists Louis Sclavis and Michael Moore. The group includes guitarist Tom Baker, cellist Joanne DeMars, and trombonist Chris Stover. Co-led by drummer Chris Icasiano and saxophonist Neil Welch, Bad Luck is about sound art, slowly developed loops and pedals used to propel the music into new aural fields. Tight-knit original compositions meet sonic mosaics in a musical relationship cultivated by years on the bandstand. Led by Seattle guitarist and composer Tom Baker, this quartet (with clarinetist Jesse Canterbury, bassist Brian Cobb, and drummer Greg Campbell) weaves modern avant-jazz tunes with beautiful and haunting improvisations. Their music blurs the boundaries between notated music and free improvisation; the unique soundscapes that result are grounded in history, while pushing at the boundaries of jazz. (4639 Sunnyside Avenue North, Seattle – SW corner of 50th and Sunnyside in Wallingford). 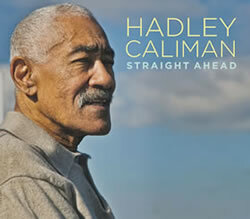 Hadley Caliman has had a long, distinguished career as a sideman, appearing on albums by Gerald Wilson, Bobby Hutcherson, Hampton Hawes, and Joe Henderson, among others, though he has had relatively sporadic opportunities to record as a leader. His second CD for Origin indicates he may have found a regular outlet for his music, backed by the young trumpeter Thomas Marriott (who also records as a leader for the label and appeared on Caliman’s first Origin CD), pianist Eric Verlinde, bassist Phil Sparks, and drummer Matt Jorgenson. Rather than choose typical approaches, such as heavy doses of originals or covers of familiar standards and jazz works, Caliman mixes it up with a few of each, plus less frequently played gems. Harold Land’s “Rapture” has yet to enter the jazz canon, but the blend between the leader and Marriott in this soothing, easygoing piece suggests a relaxing walk along a sunny beach. Lee Morgan’s “Totem Pole” is overshadowed by his better-known compositions, though the quintet makes the most of this long-forgotten hard bop vehicle. The originals also stand out. Marriott’s vibrant “Cathlamet” has a bit of an urban swagger, while Caliman’s upbeat “Cigar Eddie” blends soul-jazz with a Latin undercurrent that turns Afro-Cuban at its conclusion. Caliman’s potent solo in “Lush Life” and playfulness in a brisk finale of “The Night Has a Thousand Eyes” also breathe new life into these familiar pieces. From Earshot Jazz: One of the most distinctive improvising musicians of his generation, guitarist and Seattle-resident Bill Frisell makes a rare trio appearance on the Triple Door Mainstage. Deeply influenced by bluegrass, rock, and folk music, Frisell is equally at home performing alongside country studio musicians as he is Paul Motian and Joe Lovano in their long-standing trio. Frisell’s sound, difficult though it is to describe, takes advantage of a variety of pedals and loops to create a swelling, chiming, and beautifully natural voice, to which there is no real comparison. Frisell is master at building shapes of sound on top of one another, creating lush and densely textured music. Frisell performs at the Triple Door tonight at 7pm and 9:30pm. Amazing story on CBS News about Lucid’s David Pierre-Louis returning to Haiti last week. It’s usually a good idea to avoid programmatic interpretations of music. The ear of the beholder can be made of tin in detecting intended mean­ings, assuming there are any. But when a work is as powerfully rooted in a cultural and political moment as Heaven And Hell, French hornist Tom Varner’s extended piece for tentet, it’s difficult not to assume the images you see in your mind’s eye and the emotions you feel are ones the artist is seeing and feeling as well. Heaven And Hell was largely inspired by 9/11. Varner witnessed the attacks and their aftermath as a New Yorker. Now based in Seattle, where he and a predominately local cast recorded the album (his first in eight years), he is still coming to terms with the tragedy. A mournful uncertainty defines the opening “Overview,” with its constrained melody and irregular ensemble patterns. As the music builds to the operatic, Greek chorus-like effects and eerie descending tones of “Structure Down,” it draws hope from happier events in Varner’s life, notably the adoption of his Vietnamese son and starting a new life in Seattle. But making stirring use of grouped and clustered horns and sparing use of drums, Varner is nagged by unre­solved questions. For all its darkness, Heaven And Hell unfolds with the easygoing, open clarity that is a hallmark of his music, striking a reward­ing balance between bold modern jazz harmonies and austere modern classical voicings. Connected by brief pensive interludes, the longer individual composi­tions unfold deliberately. But there’s no lack of peak moments, as witness the lively solos over Phil Sparks’ limber walking bass on “Queen Tai” by the brilliant East Coast trumpeter Russ Johnson, the Konitzian altoist Mark Taylor and the virtuosic Varner. More than ever, Varner’s warmly expansive but tough-edged playing rescues the French horn from the “miscellaneous” instrument cate­gory. The voice of conscience on Heaven And Hell, he also bestows its greatest pleasures. “OCHO PIES” 5th, 12th, 19th, 26th. *new CD coming out next month – first release onto Pony Boy for popular Olympian based group. “Fridays in the Living Room With Greta” are fun and spontaneous evenings, based loosely on the old Dean Martin variety show, and with Greta holding court, they will feature musical guests, occasional comedians, friends sitting in and Greta taking audience requests -always a crowd favorite! For this very special performance, Greta will pay tribute to jazz icon Overton Berry. Overton has held court at the Sorrento Hotel for years, playing piano and singing. Greta and Overton share a long history together, and this tribute performance will feature Greta, Overton and Seattle bassist Clipper Anderson reminiscing about good times and performing favorite songs. Overton is a much-loved and well-respected member of the Seattle music scene, and we are excited to honor both the man and the contributions he’s made throughout the years. Tenor saxophonist Hadley Caliman leads a quintet in an Art of Jazz concert at the Seattle Art Museum on 88.5 KPLU on Sunday, January 24 at 1 PM Pacific Time. The recorded concert is presented as part of the regular series of on-location recordings presented on Jazz Northwest. The performance includes several selections from the new CD “Straight Ahead” (Origin Records). Joining the veteran saxophonist are Thomas Marriott, trumpet, Eric Verlinde, piano, Chuck Kistler, bass and John Bishop, drums. Hadley Caliman grew up in Los Angeles where he played on the fabled Central Avenue. 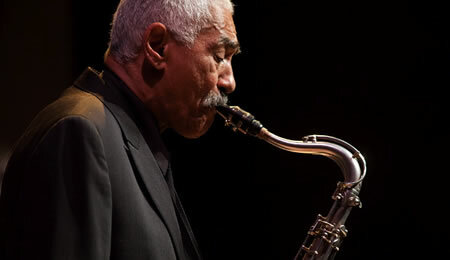 His associations range from the Gerald Wilson Orchestra to Santana, and he has been a major influence on young musicians, teaching for over 20 years at The Cornish College of the Arts in Seattle. The Art of Jazz series is presented by Earshot Jazz on the second Thursday of each month in the Brotman Forum at The Seattle Art Museum with the support of KPLU and The Weekly. The next concert in the series will feature the Dawn Clement Trio on February 11. Jazz Northwest is recorded and produced by Jim Wilke exclusively for 88.5, KPLU. The program airs Sundays at 1 PM Pacific Time and streams to the internet at kplu.org. A podcast of the program is also available after the air date at kplu.org. The management and musical abilities of Bellevue High School teacher Vince Caruso have struck a chord with a national publication, which recently named him as one of the nation’s 50 band directors who are making a significant difference in music education. Caruso was chosen for the honor by School Band and Orchestra magazine, which annually selects one director who deserves the honor from each U.S. state. More than 20,000 music directors read the monthly magazine, which focuses on the management aspects of running a successful music program. Sunship reunites Brian Heaney, one of Seattle’s most creative guitarists, with the amazing New York saxophonist Michael Monhart, both formerly of the band Stinkhorn. Add in a fantastic rhythm section – David Revelli on drums and Andrew Luthringer on bass – and top it all off with the inimitable Stuart Dempster (trombone, didjeridu, conch, etc.) and this swinging “intergalectric” ensemble is ready for lift-off. inspirational iconoclast Sun Ra by playing many of his compositions from the late 1950s and early 1960s. Expect sparkly robes, processions, group vocals, flying objects and planetary alignment. The cast of characters includes Stuart Dempster: trombone, Bill Smith: clarinet, Tom Baker: guitar, Greg Sinibaldi: saxophone, Michael Monhart: saxophone, Jim Knodle: trumpet, Lynette Westendorf: piano, Greg Campbell: percussion, horn, Dan O’Brien: bass, Bill Moyer: percussion. BILL SMITH TRIO Master composer and clarinetist Bill Smith leads this impressive jazz trio (with Brian Cobb on bass and Greg Campbell on drums) through his original compositions and improvisations. Don’t miss this rare opportunity to hear a musical legend in this profoundly intimate setting. THREAT OF BEAUTY Seattle’s most prolific young jazz lion, Evan Flory-Barnes, takes the stage with his big band, Threat of Beauty, for a set of astonishingly beautiful and modern compositions. Featuring voices, braensemble reunites for this special festival performance. ESSE CANTERBURY’S VERTIGO Seattle clarinetist Jesse Canterbury leads an all-acoustic ensemble in a strikingly original mix of chamber music, improvisation, and tune-oriented melodic material informed and inspired by the music of clarinetists Louis Sclavis and Michael Moore. The group includes guitarist Tom Baker, cellist Joanne DeMars, and trombonist Chris Stover. BAD LUCK Co-led by drummer Chris Icasiano and saxophonist Neil Welch, Bad Luck is about sound art, slowly developed loops and pedals used to propel the music into new aural fields. Tight-knit original compositions meet sonic mosaics in a musical relationship cultivated by years on the bandstand. TOM BAKER QUARTET Led by Seattle guitarist and composer Tom Baker, this quartet (with clarinetist Jesse Canterbury, bassist Brian Cobb, and drummer Greg Campbell) weaves modern avant-jazz tunes with beautiful and haunting improvisations. Their music blurs the boundaries between notated music and free improvisation; the unique soundscapes that result are grounded in history, while pushing at the boundaries of jazz.